Need a Marriage Tune Up? 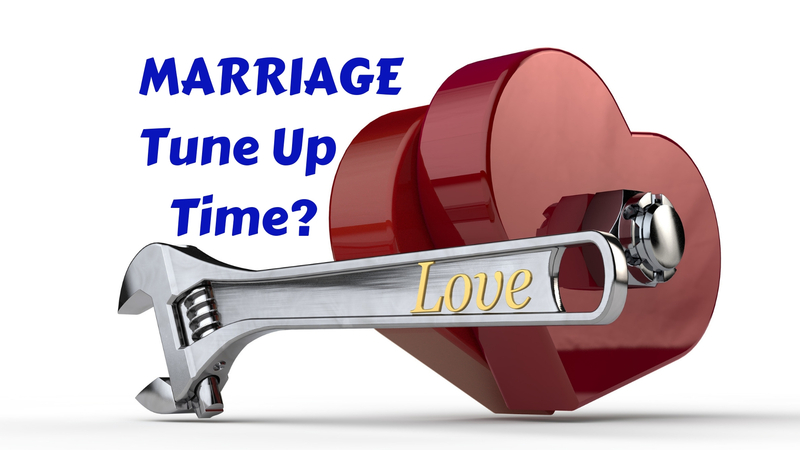 Do You Need a Marriage Tune Up? Have you been there? Are you there? We sure have been. And we’re guessing that you sometimes fall into this same “cruise control” trap, as well. It’s an easy tendency to fall into. We’re so busy trying to make life work for us, we forget the most important part in all of this… US! If we aren’t well connected with each other, our whole marriage falls apart. It’s a matter of not forgetting the most important things, putting them first, and going from there. • Don’t Wait to Repair or It Could Lead to a Bigger Problem Later. Just as it is with maintaining a car, the same principle pertains to tending to our hurts sooner, rather than later. This is something that we especially struggled with earlier in our marriage. We’ve learned a few things along the way that has helped us GREATLY to treat each other more like marriage partners, rather than opponents. • GOING TO BED ANGRY? “We all know that cars need regular oil changes. 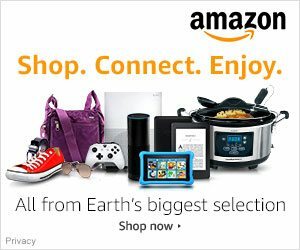 It’s needed every 3,000 – 5,000 miles depending on your particular automobile. Today I’m in Lansing because an indicator light came on which I had never seen before. …When I looked it up in the owners manual, all it said was see your local dealer as soon as possible. Apparently when a car hits 60,000 miles it needs more than an oil change. It needs a tune up! And then pray for your spouse. Pray that that God will open his or her eyes to see the need to partner with you in this marital tuning up process. For the benefit of the covenant you entered into when you married, don’t stall or put it off any longer. Do a marriage tune up. Today can be a new beginning for your marital relationship! Thank you for your website. My wife and I have worked together for 36 years and have been faithfully married for 28 years. We are at a crossroads in our personal and marital relationship. I am 68 years old. My wife is 65. Both of us have had to work since we were teenagers. We had built a very successful business and are financially secure. Now the tough part. After leaving practice for three years following a motor vehicle accident that required three surgeries, I have returned to active practice treating patients with pain management issues. My wife was very supportive in my decision a year ago. What started out as a three day a week part time practice has developed into a 24/7×7 fantastic professional experience for me but not for her. As we began to live separate lives, problems began which escalated into issues and then changed into arguments and ended up with my leaving our home one week ago. We have continued to speak to each other on the phone and in e-mails cordially and with respect. After six days apart, we had dinner yesterday. We sat together for over three hours. We had previously agreed that we would not discuss any issues that we both considered extremely serious. Our concentration and discussion was on all of the things that were good and enhancing to our marriage of 28 years. We expressed our love and admiration for each other, and a desire to work towards a mutual solution to restore our relationship that has existed for 36 years. 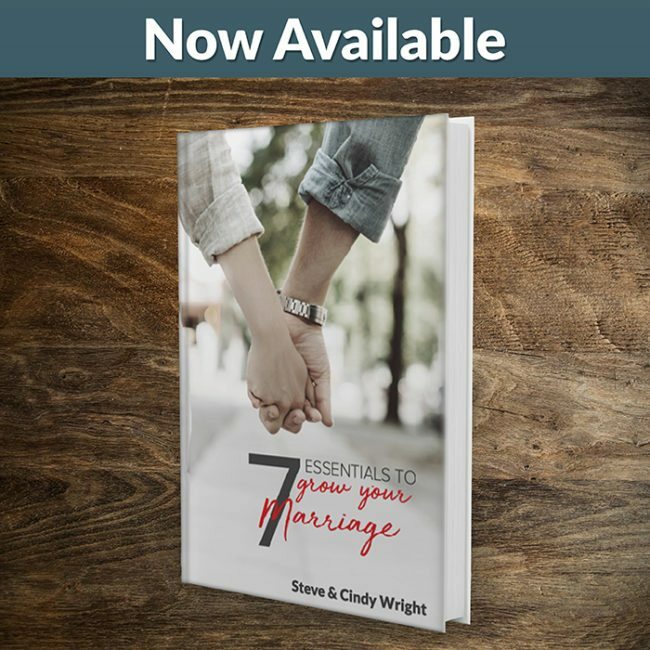 Acknowledging the need for some unbiased professional counseling, we agreed that our position is not when or if we can restore our relationship and marriage, but rather what should we do as we are restoring our relationship together. 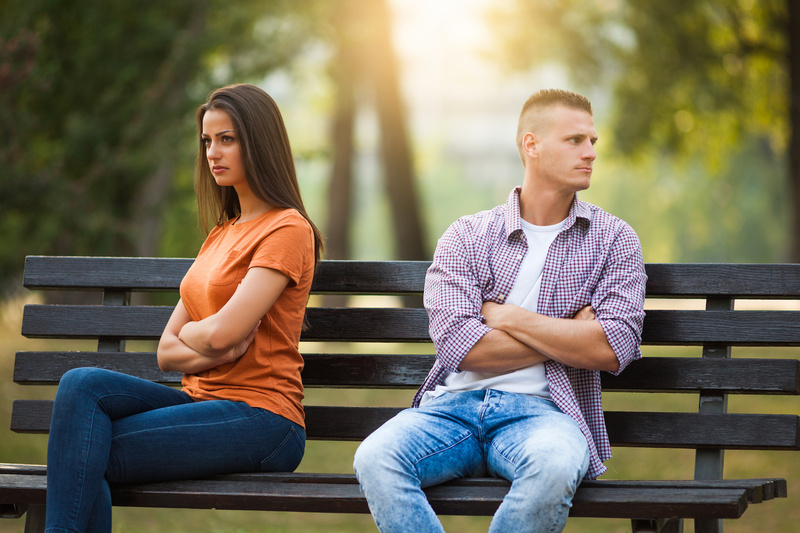 Skip, it’s so good to read that you both have decided you WILL restore your relationship together –not when or if, but that what you’re to do “AS” you’re restoring it. That’s such a great first step. When a couple is determined to find a solution, they will. Intentionality and determination is a huge part of what it takes to make things good again, perhaps better than ever. As far as how you’re to do this, I have to say that it’s different for everyone. That which caused this break in your marriage is different from what causes breaks in other marriages. I have a few suggestions though, that might help. The first thing I recommend is that you pray together –join hands and pray for guidance. The Holy Spirit is called “Our Wonderful Counselor” so take Him up on that. Allow Him to guide you. And then you go on the search for what you can learn that will help your marriage. It’s a matter of gleaning. In other words, as you seek what will help you to bridge and work through your differences, you will come across a lot of info –some of it will work for you and some of it won’t. Determine together what you can use that will work and toss out the rest. It’s not a “one size fits all” situation. 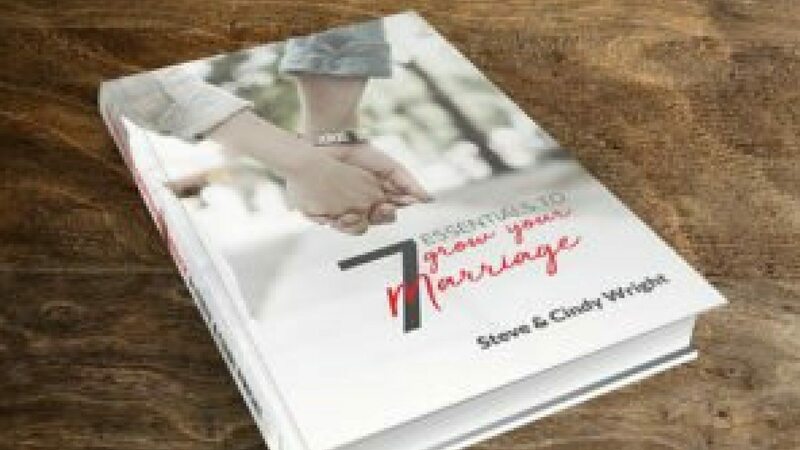 You can go into the “Save My Marriage” topic of this web site and look through the quotes and articles we make available. Determine if your marriage is in a “crisis.” You can read about that. If, after looking through a few things, you determine that this is a time of crisis, then read accordingly and glean through the advice to apply. Determine this TOGETHER (listen to each other on this –if one spouse believes it’s a crisis, then it is –your partnership is in crisis). If you agree this isn’t as much of a crisis as it is a fork in the road, then look together through the articles and other topics that are appropriate for what you’re dealing with. I’m reminded of a statement that John Gottman, an internationally known marriage expert, gave in “confronting sticky marital issues.” He said, “The issue isn’t whether you fight, it’s how you fight and how rich your stockpile of good feelings is about each other to weather difficulties and keep your basic attitude toward your partner positive.” (You can read more about this statement in the article, It’s Not IF You Fight But HOW You Fight That’s Important). In other words, you’re on the right track when you determine that you’re going to approach your differences in respectful ways. It’s not the conflict that can kill a marriage, but the disrespectful way –the contempt that can creep in that will kill it. If you need help with that, perhaps some guidelines and/or communication tools, etc… you can find them in the “Communication and Conflict” topic and the “Communication Tools” topic. If, in addition, you need a marriage counselor make sure you find a “Marriage Friendly” one. You can read about that in the “Marriage Counseling” topic. You don’t just want a counselor who is totally impartial –because that can get you stuck looking at huge differences. You want one that can help you to bring your problems out in the open but along the way will give you the tools you need to resolve them. Again, read up on what the “marriage-friendly” approach is, in counseling. Also, as John Gottman pointed out, you need to keep stockpiling “good feelings” about each other. Too many couples neglect this aspect of marriage. We have a “Romantic Ideas” topic, which we continually add to, which could give you a few ideas. And another great topic to explore, which might especially help you is the “Marriage Enrichment” topic. We have articles to read and marriage seminars that we recommend in the “Links” part of that topic. And use some of the advice in this article. Don’t forget to dream together and insert laughter into different times you’re together. Both are important. Too often couples get so involved in everything that’s going on in their lives that they forget to dream together. My husband Steve and I did this and it’s part of the reason that Marriage Missions developed. 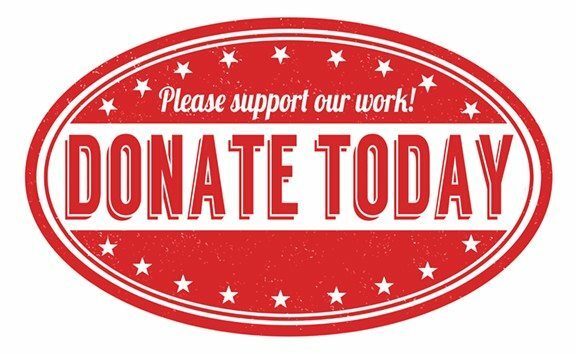 We decided that TOGETHER we wanted to invest in the lives of other marriages that needed a good foundation (like we wish we would have built in the beginning of our marriage) and invest in marriages that need a boost, and marriages that need a bit more help. We started mentoring a few couples here and there and it grew into this. It’s a ministry we do together. We love it. We never thought it would grow as it has, but each step of the way, we’ve been in agreement to go with the growth. We also invest in the lives of our children and grandchildren and such. What you and your wife do side-by-side may look entirely different, but the important thing is to dream together, invest time together, and laugh together along the way. I hope this helps. God bless you for the good work. The comments of Mr. Skip and your response are lessons personally for me in my relationship with my spouse. We have been married 13 years and blessed with 3 lovely children. Our marriage needs tuning up and I pray the Holy Spirit helps my wife and I take the right steps to achieve that. We have had quite a lot of issues arising from our different approaches, attitudes and pursuits. However we have come this far majorly because we are able to remember individually that God wills for us to honour him in and with our marriage. Presently, I am separated from my family by location due to work transfer but I am desirous of rejoining them soon, hoping that will enable me work more and better with my wife on improving our marriage relationship. Please remember us in your prayers. Regards to your darling husband and partner, Steve. Thank you.